The purpose of this blog article is to provide you with valuable information that will help you to understand the importance of a strong content strategy, and how this will help you grow your online business through increased leads and sales. This information will help you to understand that creating high quality content, with various content types, supported by a strong content distribution programme will help you to build a better online marketing strategy for your business. You often hear the term “CONTENT IS KING” – well folks… it’s true! Without quality content and a strong distribution programme, your message is not reaching your target audience or being properly absorbed by them. And if your content is neither high quality nor reaching your target audiences, then, in reality, it isn’t contributing to building your online brand reputation and it is not generating consumer interaction and customer trust in you or your business. 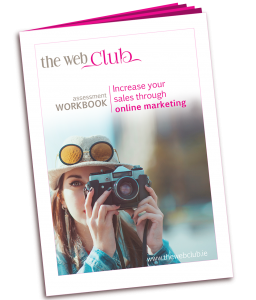 Click here to subscribe to download our Workbook to help you to quickly assess your current online marketing. This will highlight where you are now and where you want to be in the future. This should be fairly transparent… you need to know who you are selling to – yes? Well, believe it or not, many businesses have not taken the time to really understand their target audiences. They often fail to communicate with them effectively because they are not answering the types of questions that their audiences are asking. And if you are not answering the types of questions they are asking, then WHY should you expect them to buy from you? So understanding your target audiences is crucial. To begin to build a more informed understanding of your target audiences you need to build a strong profile of WHO exactly they are and use this process to identify their needs and wants. You do this by developing Customer Personas. The key here is to gather the right information that helps you to understand your customer’s buying journey online. Once you have acquired a better understanding of their buying journey, you can tailor your content to engage them at each stage of that journey. In other words, you can target your content to have the most impact at any given stage of your customer’s buying journey online. Knowing the social media channels that your customers most frequently use is a major factor in how and where you need to interact with your customers online. And the reason this is so important is simple… you need to interact with your audiences and get them to share your content. By enticing your audiences in sharing your content, your online visibility increases exponentially. And that’s the key! Getting your message out to as large an audience as possible is essential if you wish to build a sustainable platform for leads generation and increased sales potential. Okay, now you have established who your target audiences are and where they reside online. Brilliant! Now the tricky part… you need to generate the right type of content that will engage your audiences. Consider the type of content that will be of interest to them. Review what sort topics they are most engaged with on their social media platforms. This will provide you with a more detailed understanding of the type of content they like to see and interact with. You may find that your audiences like video in particular and spend more time viewing this type of content, or they are particularly keen on blogs or podcasts or infographics and will download and share this with others. And, of course, the most direct means of getting your message in front of your immediate audience is Email Marketing, but we will come back to this specific topic in another blog. All of this will point you in the right direction, however, you now need to test this for yourself. 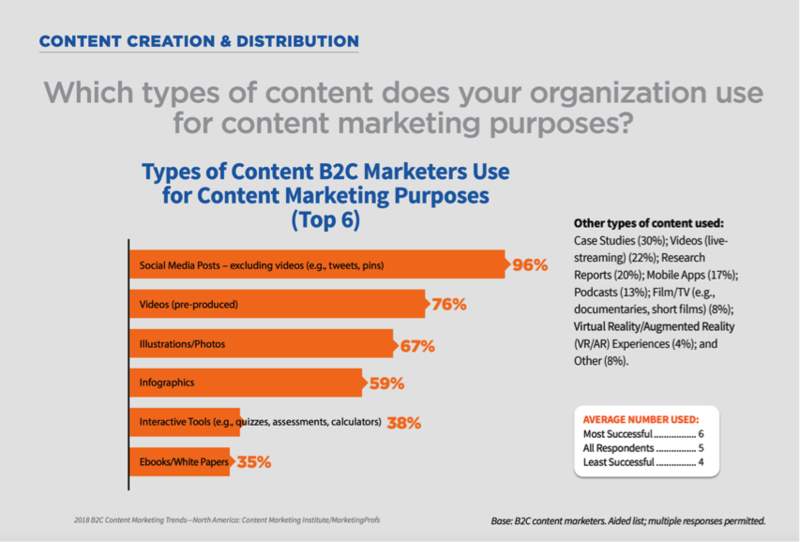 Now that you are better informed about the type of content that is most likely to be of interest to your audiences you can start to create your own content and get it out in front of your them on the social media channels they use most often. The first thing to do is setup a standard template for writing your blogs [you may require some help with this]. Keep this simple and use a stepped approach, 3, 5, 7… etc,. The reason you do this is to break the overall content into manageable blocks that you can build easily. Most often, when people start writing blogs, they become overwhelmed by the amount of work they perceive in creating the content. This can be substantially reduced by breaking the content down into smaller pieces. Once you get started you will see the benefits of this approach immediately! The order in which you place your content and the supporting content types used in your blog article, including images, infographics, podcasts and video, will make the difference between a mediocre blog and an interesting, engaging and relevant blog. The best content will be interesting, relevant, engaging, downloadable, sharable and memorable and provide genuine value to your target audiences. Remember at all times, you are writing this content for your target audiences, while bearing in mind that you should be using the right keywords that your audiences will be using in their search terms in order to find your business, services or products online. Using the right title for a blog article can have a major impact on how the user perceives the content therein. Again, go back to your audience research and have a good look at the types of questions they need answered. Now build this into your title headings. This will grab their attention immediately as they will perceive this as a starting point to answering one or more of their many questions. Now you have their attention! Now that you have the audiences’ attention with strong and relevant headings, you need to ensure you use the right tone-of-voice and the most appropriate and engaging content types to keep their attention focused. You do not want them disengaging before they have reached your punchline – do you? Of course not! So, vary the type of content you use. If you are presenting a technical item – then provide a graph. If you are presenting a lengthy explanation – then use a video or a podcast. If you have a sequence to follow – then present this in an infographic. As you can see from this, there are various option depending on what you have to say and how appealing you wish to convey your message. Also remember that repurposing your text content from any blog will make a good podcast and the same applies to infographics etc., so you don’t have to reinvent the wheel on every occasion! Now assess the strengths and weaknesses of this content and identify any aspects of the content that resonates with you and that is relevant to the article you are creating. Finally, please take the required time to reinterpret any material you think may add to the quality of your content and blog article. And do this with conviction, as this will start you on the right path to creating a strong and engaging content flow! Be confident at all times. You need to be perceived as the expert in your field, so it is really important to convey this right from the start. Express your own individualism, ideas and thought processes. Build these into your content and create the impact you require. Okay, this sounds fine, but how many people are prepared to simply copy an article from another source and use it as their own? Unfortunately, this does happen. So, you need to make a conscious decision to use a simple approach to creating good quality content. To start with, review plenty of articles produced by your competition – large and small. Where you see content that has been shared or downloaded numerous times, this indicates that it has been well received by your audiences. Now, at this stage, you have the key parts in place to generate high quality content. 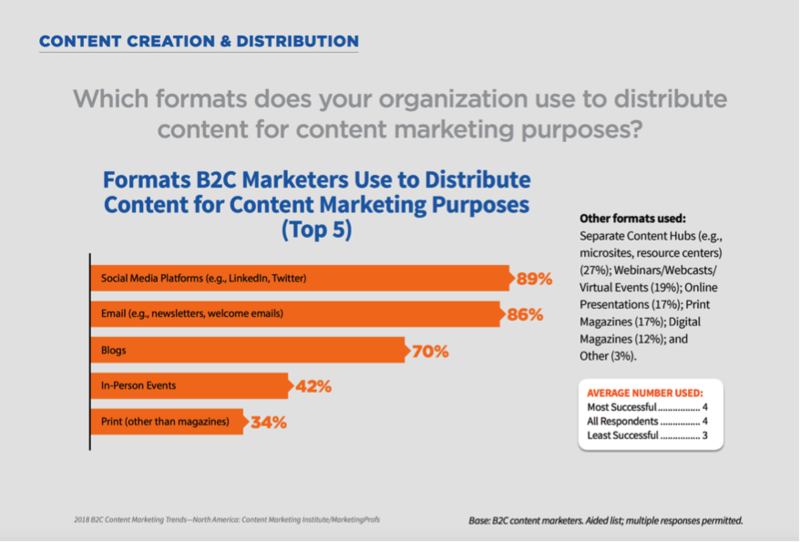 However, unless you have built the right distribution structure, your content is going nowhere. Imagine buying a new Mercedes car, beautiful and powerful… BUT you forgot to get the petrol!!! Well… “you aint goin’ nowhere”! The importance of content distribution cannot be underestimated. This is the means by which you provide your content to your target audiences in order to generate your online conversation with them. Getting the message out there is key to engagement and in turn, it is the catalyst for driving traffic to your website to generate leads and sales. Simple as that! The specific time when your content is delivered and at what stage of your customers’ buying journey, is critical to how that content impacts on the decisions your customer – target audiences – will make! Get it right and you will reap the rewards. Get it wrong and you will simply try again. Remember, you don’t give up at the first hurdle… or the second… or the… well you get my drift! Believe me, once you become fully engaged in this process you will see the patterns that emerge and you will become more accurate in your delivery of high quality, timely and relevant content… all of which will influence your customers buying decisions. You will also need to consider the social media platforms your audiences use most frequently and identify what times, on a daily and weekly basis, is it best to present your information so that they will see it, engage with it and share it accordingly. One of the key benefits of creating your own content is that you can measure the success of any individual blog, download, video, infographic at any stage of its life cycle. We refer to this as content analysis. Once your content is distributed over your social media channels, you can start to measure the number of shares, likes and mentions it receives and you can assess the increased traffic to your website and the time your audience spends on your website reading your content. a. You build a strong relationship with your target audiences on your selected social media platforms by providing them with relevant, engaging, and sharable content that answers their questions and provides them with a portal for continued engagement and learning. This in turn, establishes you as an expert in your field over a period of time. b. Google tracks the flow of traffic to your website, the number of existing and new users, the time they spend on your pages and the interactions they incur through signups and downloads. When Google sees that your audiences are spending significant amounts of time on your site and repeatedly coming back for more, then they perceive this as a major positive – and they see your business website as a “Best Fit” to answer search queries relating to your business area. The outcome is that Google are more likely to present your website on PAGE ONE OF THE SEARCH RESULTS PAGES [SERPS ]as a “BEST FIT” to answer search queries relating to your specific area of business. c. And finally… the most important part of the equation: your content strategy is now working to generate increased engagement on your social media channels, driving increased traffic to your website and the increasing the potential for more leads and sales. So, as I mentioned at the start of this blog article, the purpose of this blog article is to provide you with valuable information that will help you to understand the importance of a strong content strategy, and how this will help you grow your online business through increased leads and sales. Hopefully, at this point you have started to understand that creating high quality content, with various content types, supported by a strong content distribution programme will help you to build a better online marketing strategy for your business. Now you need to ask yourself the important question… can you do this alone or do you need to build in a support structure to make this happen for you and your online business? Remember, you are the expert in your field of business but are you prepared to put in the time to become an expert in content marketing? If you need more advice in how to move forward with your Content Marketing, then get in touch with us. We are here to help make it happen!